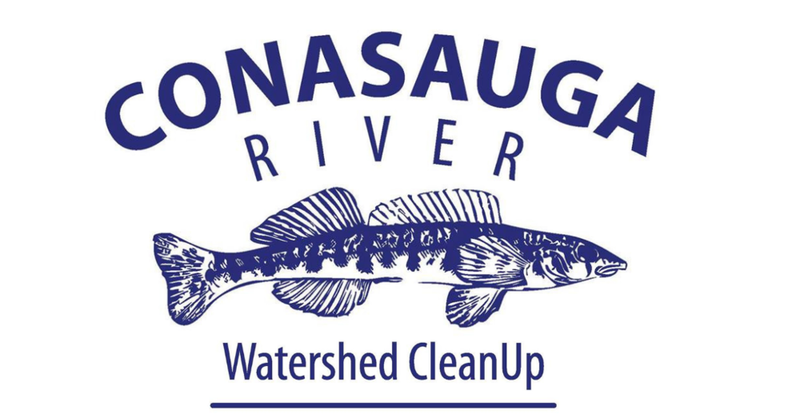 Whitfield County and Murray County residents are invited to participate in the 24th Annual Conasauga Watershed Clean-up event on Saturday, October 27, 2018 to help keep local waterways clean at one of seven locations. Girl Scout Troop 14603 at Lakeshore Park in Dalton where volunteers helped to remove more than a ton of garbage during the 2015 river cleanup. Volunteers from the Conasauga Ranger District of the US Forest Service cleaned along three creeks in their service area. Whitfield County Public Works staff and volunteers at Prater’s Mill where participants removed litter along Coahulla Creek which feeds into the Conasauga River. (Dalton, GA, November 6, 2015) – Muddy tires, abandoned mattresses, and a lost truck cover were part of the 11,463 pounds of garbage removed by volunteers during the 21st Annual Conasauga River Watershed Cleanup Event on Saturday, October 24. The annual event took place during United Way’s “Make a Difference Day”. Three hundred sixty volunteers spent the morning removing trash, debris, and invasive plants from eleven locations in Whitfield and Murray counties. Sites included in this year’s event were the Conasauga River at Carlton Petty Road Bridge, at Highway 2 bridge, and at Lower King’s Bridge and Norton Bridge. Also, Holly Creek in Murray County on the Chattahoochee National Forest, the Mill Creek tributary in the City of Dalton, Coahulla Creek at Prater’s Mill, and Lakeshore Park in the City of Dalton. New locations this year included Al Rollins Park in Dalton, and Muskrat, Hurricane, and Stover Creeks on National Forest land in Whitfield County. Garbage found at each site was the result illegal dumping, irresponsible abandonment after using a site, or accidental loss of items from a vehicle with an unsecured load. Event participants encourage the public to pickup litter when they see it, even if it isn’t theirs; properly secure loads on vehicles, even when traveling short distances; take out what they take in at outdoor recreation areas; and properly dispose of tires and bulky items at an approved drop-off location. Small efforts from everyone will result in big results and a cleaner environment. The amount of time donated by volunteers during this year’s event, approximately 1,436 hours, is valued at $29,824. Volunteers received a t-shirt from the Rivers Alive program, and also received a hat or tumbler commemorating the event. “Thank you for all your help with this cleanup and for all you do throughout the year to make our area a better place for people and wildlife.” said Dalton State College Professor John Lugthart. The following sponsors provided the funds needed to purchase the hats, tumblers, and t-shirts, as well as supplies, and hauled off the garbage: J+J Flooring, Shaw Industries, Dalton Utilities, Conasauga River Alliance, Modern Woodmen of America, The Nature Conservancy, Georgia's Rivers Alive, Christian Heritage School, Dalton-Whitfield Solid Waste Authority, and Whitfield County Public Works. Also, the following organizations helped coordinated the event: Conasauga River Alliance, Dalton State College, Dalton Utilities, Dalton-Whitfield Solid Waste Authority, Keep Chatsworth-Murray Beautiful, Keep Dalton-Whitfield Beautiful, Limestone Valley RC & D, The Nature Conservancy, and Whitfield and Murray County Extension. The Conasauga River, one of the six most biologically diverse freshwater river systems in the United States, supports twenty four endangered species and a dozen other imperiled species, including the Southern Pigtoe mussel and the Conasauga logperch, a fish found nowhere else in the world. The Conasauga Watershed Clean-up has long been a participant of Rivers Alive, one of the South’s largest volunteer efforts to beautify water resources. So far this year, 5,809 volunteers have participated in 112 clean-up events through out the state and have removed 133,025 pounds of garbage from Georgia waterways. For more information about efforts in other areas or the statewide campaign visit www.RiversAlive.org.